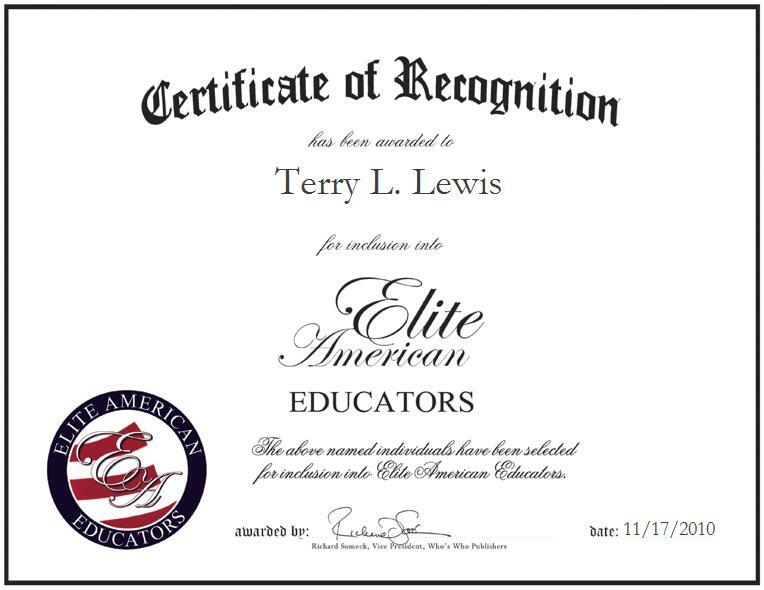 Terry L. Lewis, retired Elementary Teacher for Winnett School District 1, has been recognized by Elite American Educators. An expert in education and curriculum development, Ms. Lewis holds a master’s degree in education from Lesley University. She retired from education after 32 years of service and looks to write novels during her retirement.